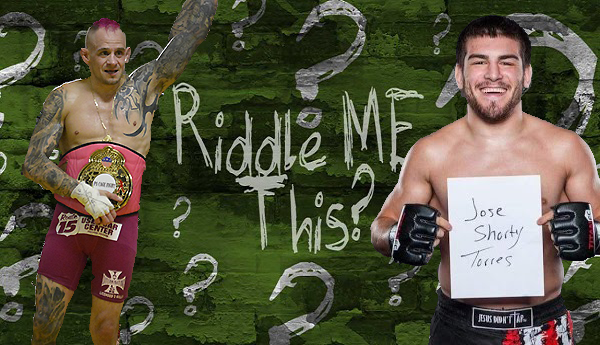 Riddle Me This: Why Aren't The Shorties In The UFC? Depending on where you fall demographically you could be talking about the three organizational flyweight champion Sean ‘Shorty Rock’ Santella or the two-division champion Jose ‘Shorty’ Torres. Me being a native of the east coast, I was introduced to ‘Shorty Rock’ before I knew who ‘Shorty’ was. Confused yet? Aside from both men earning multiple titles and boasting impressive numbers and records inside the cage, the UFC will be visiting each of their home states in the coming months, and neither fighter has yet to be considered (at least publicly) to be on either card. Santella, from New Jersey, has long been in the discussion of earning a shot in the UFC, and as of now, has not been offered a fight for the April 21 fight card in Atlantic City. Torres is a native of Chicago, Illinois. The UFC stops at the United Center in Chicago for UFC 225 on June 9. He sits atop FloCombat’s list of flyweight prospect rankings for the month of March. The one factor that has kept Santella off the list is that is restricted to fighters under 30-years of age. Right now Santella is booked to defend his PA Cage Fight title when he meets Charles Johnson at PA Cage Fight 31, March 31. The event takes place at the Woodlands Inn in Wilkes-Barre, Pennsylvania. Santella won the vacant title at PA Cage Fight 29 with a third round submission over Nate Williams in September 2017. “Shorty Rock” also holds flyweight titles with Cage Fury Fighting Championships and V3 Fights. With three consecutive belts and a professional MMA record of 19-6-1 it is no secret that he is one of the best unsigned 125-pound fighters on the planet. 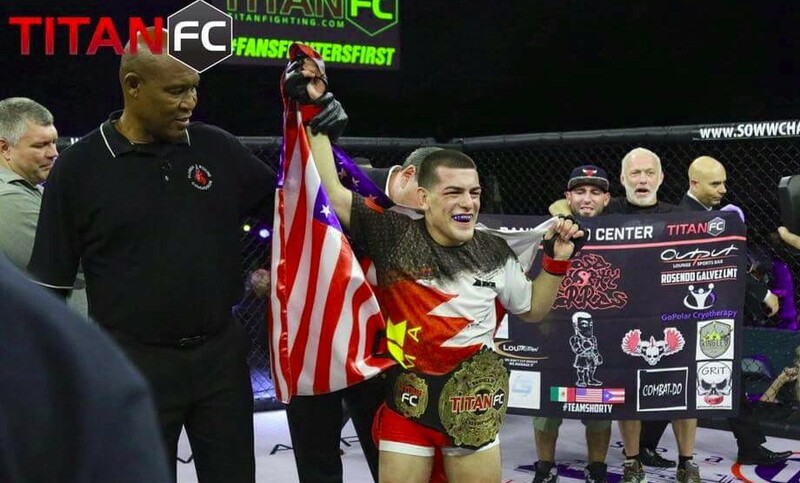 Torres holds both the flyweight and bantamweight titles for Titan Fighting Championship and is undefeated as a professional at 7-0. Before transitioning to the pro level, Torres amassed an impeccable 25-1 amateur record but most websites will give you a tale of anywhere from 13-20 wins and no losses depending on where you find his record. When you look at what the two fighters have accomplished and are continuing to accomplish it is hard to pinpoint why these two combatants have not yet been signed by the UFC? Santella was to serve as a replacement fighter for a UFC 201 bout in 2016 and was to take on Wilson Reis, however, within hours after the organization made the statement on live TV, the fight was off due to a medical issue. Months later in early 2017 Santella flew to San Diego where he took on Team Alpha Male’s Joseph Morales. UFC President Dana White was in attendance filming for his show, ‘Dana White: Lookin’ For a Fight.’ It was known that if Morales won the fight, he would be signed to the UFC. There was however no mention of that if Santella won which was strange due to him winning yet another fight between the UFC 201 cancellation and the contest in San Diego. Since the loss to Morales, Santella has racked up three consecutive wins. Torres continues to fluctuate between the 125-pound and 135-pound divisions and has pestered UFC matchmaker Mick Maynard so much that Maynard blocked him on social media. Will either of these two outstanding flyweights find a home in the UFC? Will they have a chance to compete in the octagon in 2018? Could it be in the upcoming Atlantic City or Chicago shows? Unfortunately only the UFC can answer those questions, but I sure would like to know why the question even has to be asked. Sign the Shorties to a UFC contract.